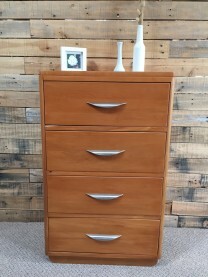 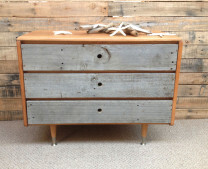 This 5 drawer Rimu and reclaimed pine wood chest of drawers is a great way to fuse vintage and contemporary style in your home. 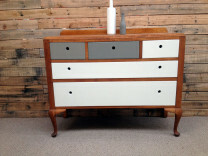 The solid Rimu body has been sprayed white for a beautiful clean finish. 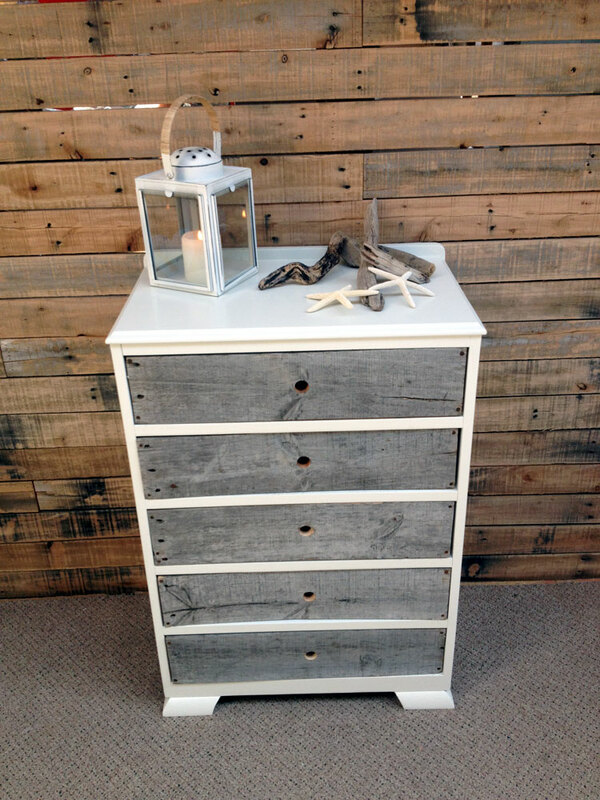 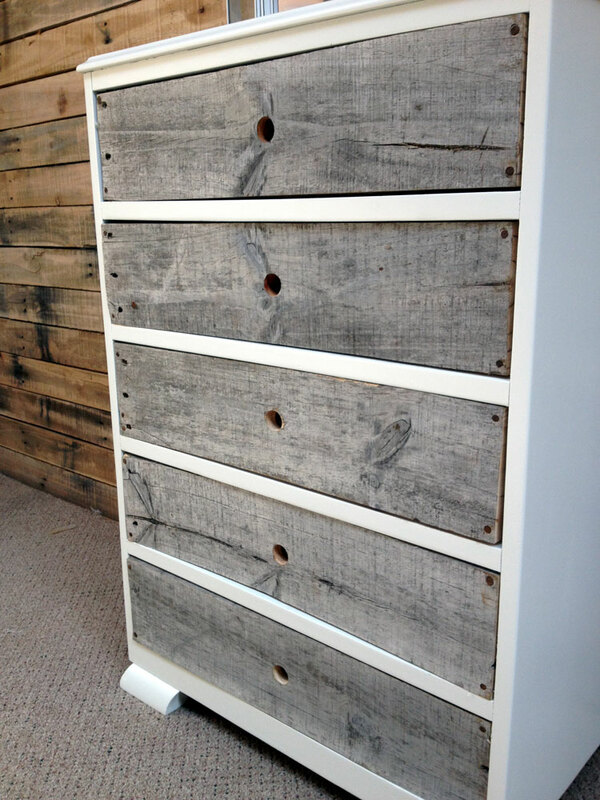 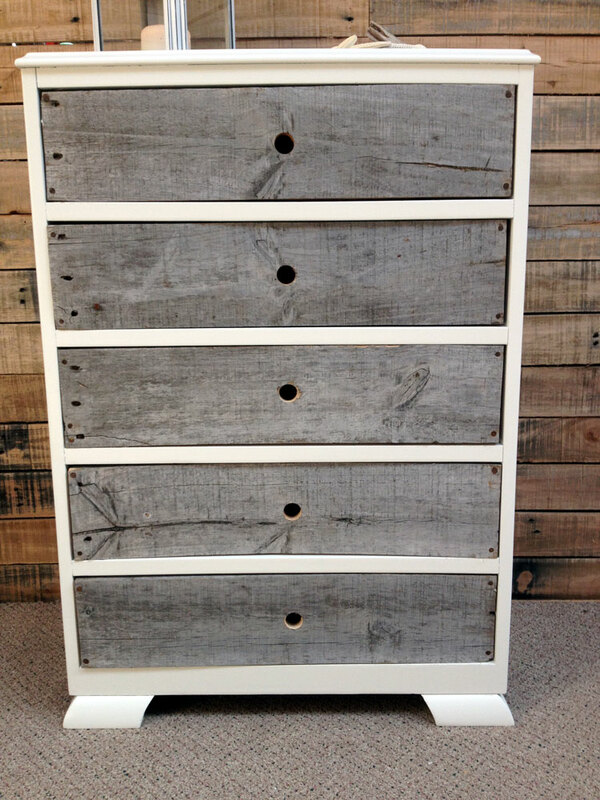 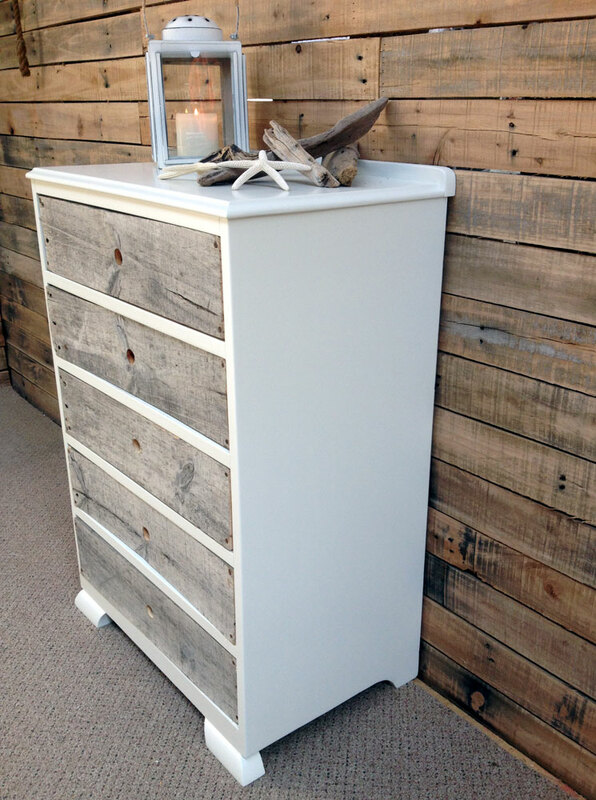 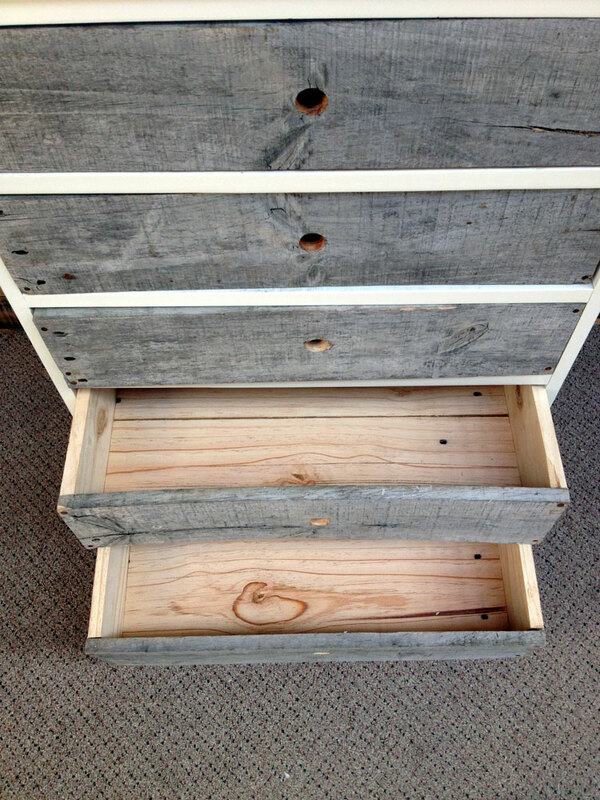 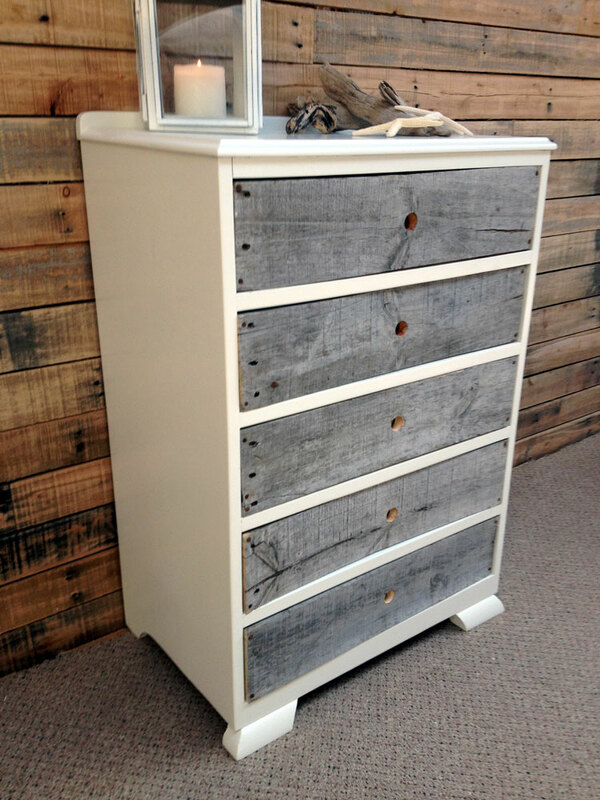 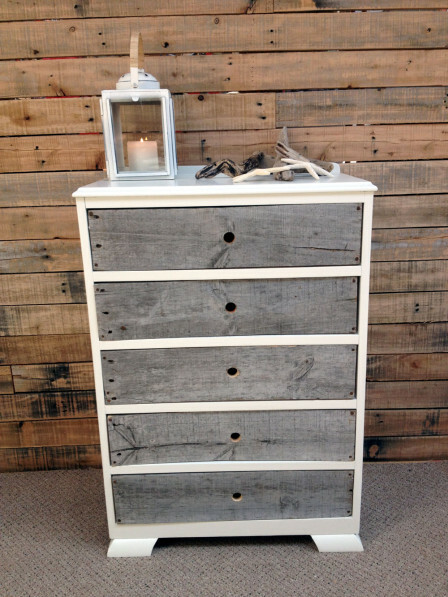 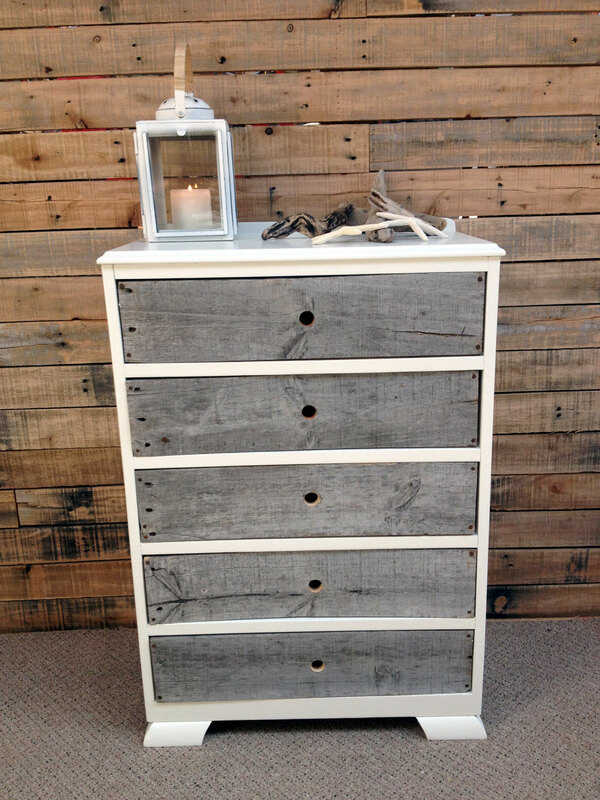 The drawer fronts are made from reclaimed grey weathered pine. 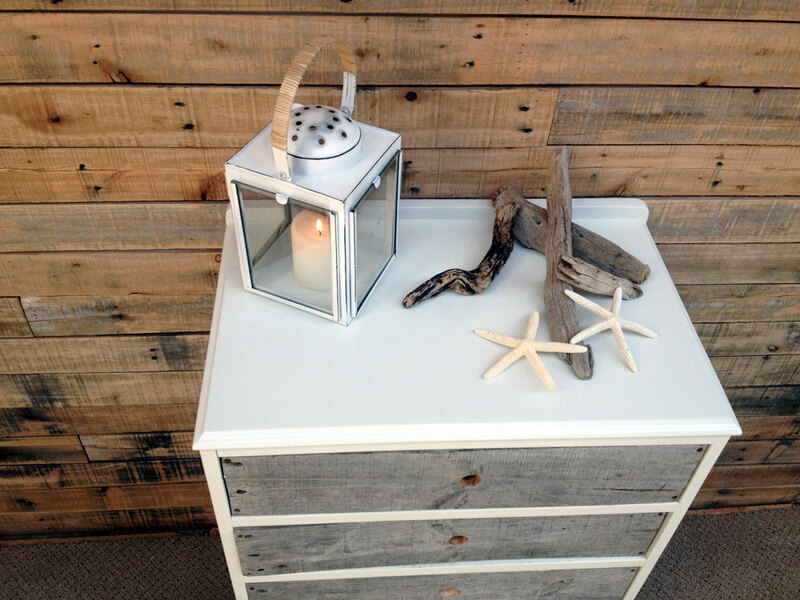 The unit has a great beachy feel to it.